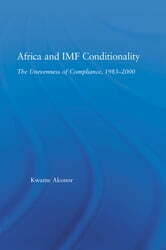 Ghana was one of the first African countries to adopt a comprehensive IMF reform program and the one that has sustained adjustment longest. Yet, questions of Ghana's compliance - to what extent did it comply, how did it manage compliance, what patterns of non-compliance existed, and why? - have not been systematically investigated and remain poorly understood. This book argues that understanding the domestic political environment is crucial in explaining why compliance, or the lack thereof, occurs. 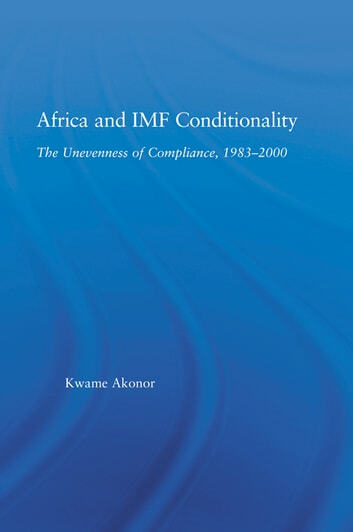 Akonor maintains that compliance with IMF conditionality in Ghana has had high political costs and thus, non-compliance occurred once the political survival of a regime was at stake. Evenett Simon J. ; Hoekman Bernard M.